Header image: Stand out from the crowd. 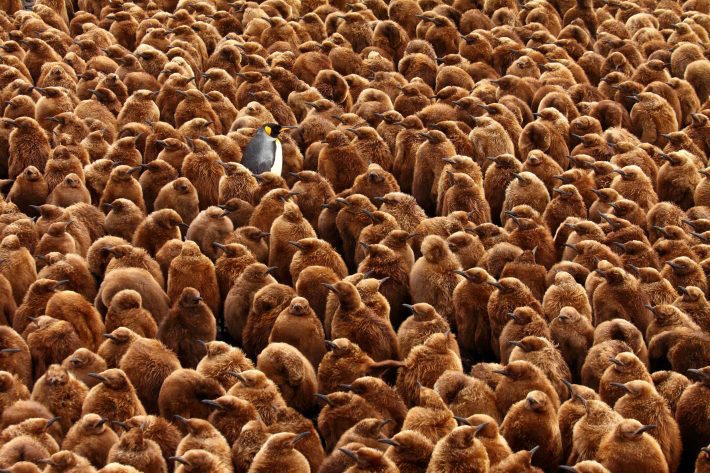 An adult king penguin (Aptenodytes patagonicus) stands surrounded by king penguin chicks in a large breeding colony at Marion Island (Prince Edward Islands). King penguin populations inhabiting Subantarctic islands such as Marion Island face an uncertain future, as global climate change may shift oceanic fronts, where they feed, further away from breeding sites. 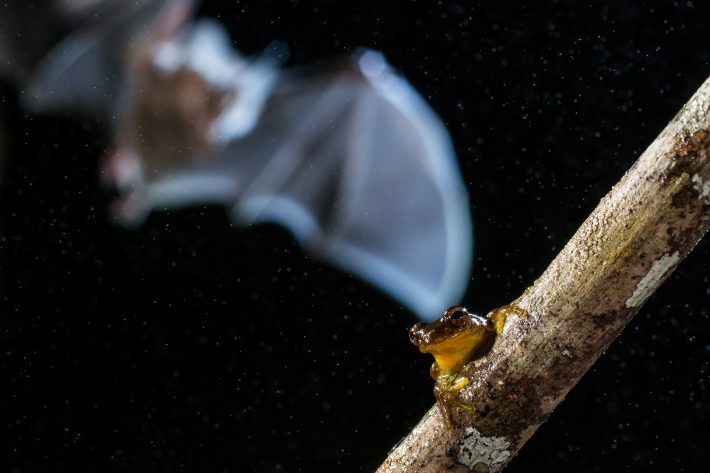 Credit: Chris Oosthuizen, University of Pretoria and British Ecological Society.